William was born. He married Rebecca Harman at Chatham County, North Carolina, on 27 February 1825. Sarah died. Sarah was born. She married Thomas Hill after 1740. Tabitha died. Tabitha was born. She was the daughter of Robert Hill and Tabitha Green. She married Unknown Chapman. Hubbard died. Hubbard was born circa 1742 at Orange County, Virginia. He was the son of William Petty and Elizabeth Unknown. He married Mary Unknown at Orange County, Virginia, in 1766. Mary was born. She married Hubbard Petty in 1766 at Orange County, Virginia. (an unknown value). Miles was born on 21 January 1839 at Carroll Co., Tennessee. He was the son of George W. Webb and Eady Nordin. 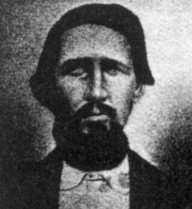 He married Sarah "Sallie" Morrow at Pope County, Arkansas, on 14 February 1861. Book D, page 57. Pope County, Arkansas Marriage Records. Married by Albert Sinclair, J.P... Miles was listed as the head of a family on the 1870 Census at Pope County, Arkansas. Dover Township. Dwelling 91. WEBB, Miles 31 M farmer b.TN, Sarah 27 F b.MO, Tennessee 8 F b.AR, Miles 5 M b.AR, Henry 4 M b.AR, Kate 2 F b.AR. Morrow, G.W. brother in law m 24 AR KY MO.
. 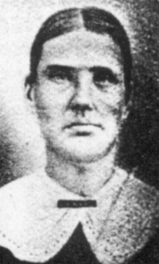 Miles died on 3 June 1888 at Pope County, Arkansas, at age 49. (an unknown value). Sarah was born on 15 May 1841 at Ripley County, Missouri. She was the daughter of John M. Morrow and Mary Ann "Polly" Drake. She married Miles Jackson Webb on 14 February 1861 at Pope County, Arkansas. Book D, page 57. Pope County, Arkansas Marriage Records. Married by Albert Sinclair, J.P... Sarah died on 1 August 1898 at Silex, Johnson County, Arkansas, at age 57. Tennessee died. She married George Merriman. Tennessee was born on 11 December 1861 at Dover, Pope Co, Arkansas. She was the daughter of Miles Jackson Webb and Sarah "Sallie" Morrow. Miles "Jack" Jackson Webb Jr. Miles was born on 30 June 1864 at Pope County, Arkansas. He was the son of Miles Jackson Webb and Sarah "Sallie" Morrow. He married Amanda Melvina Davis at Lebanon, Johnson Co, Arkansas, on 22 January 1888. Miles died on 6 January 1953 at Johnson Co., Arkansas, at age 88. Henry was born on 25 March 1866 at Dover, Pope Co, Arkansas. He was the son of Miles Jackson Webb and Sarah "Sallie" Morrow. Henry died on 23 March 1895 at age 28. She married Joseph Newton Davis. Eady was born on 18 May 1868 at Dover, Pope Co, Arkansas. She was the daughter of Miles Jackson Webb and Sarah "Sallie" Morrow. Eady died on 24 April 1935 at age 66. Lucy was born on 11 April 1872 at Dover, Pope Co, Arkansas. She was the daughter of Miles Jackson Webb and Sarah "Sallie" Morrow. She married John C. B. Hallum on 22 January 1888 at Lebanon, Johnson Co, Arkansas. Lucy died on 12 April 1957 at Haskell, at age 85. She married Levi Davis. Sarah was born on 3 July 1873 at Dover, Pope Co, Arkansas. She was the daughter of Miles Jackson Webb and Sarah "Sallie" Morrow. Sarah died in 1952. George was born on 5 January 1875 at Dover, Pope Co, Arkansas. He was the son of Miles Jackson Webb and Sarah "Sallie" Morrow. George died on 2 September 1879 at age 4. David died at California. He married Myrtle Vanostrum. David was born on 23 December 1879 at Dover, Pope Co, Arkansas. He was the son of Miles Jackson Webb and Sarah "Sallie" Morrow. Eva was born on 3 January 1882. She was the daughter of Miles Jackson Webb and Sarah "Sallie" Morrow. Eva died in August 1890 at age 8. Hillie was born at Dover, Pope Co, Arkansas. He was the son of Miles Jackson Webb and Sarah "Sallie" Morrow. Hillie died on 5 January 1871.